There is always a lot of exaggeration in travel writing. The best this, the best that, the most crowded, the most expensive… Well, in the case of Cinque Terre, all the superlatives you’ve heard are accurate- the good and well, the expensive. The grandeur of Cinque Terre is known all around the world. Something that well-spread can’t be kept a secret. Still, in between all “the best” and “the most beautiful” comments, there are two consistent complaints – the crowds and $$$$. Well duh, it’s written about all over the world. People come, and businesses raise their prices. Fear not! I am a firm believer that nothing in Italy is ever too expensive. Food in Italy is laughably cheap if you steer clear of tourist traps and/or Michelin restaurants. Plus, nowadays finding budget accommodation is very possible. 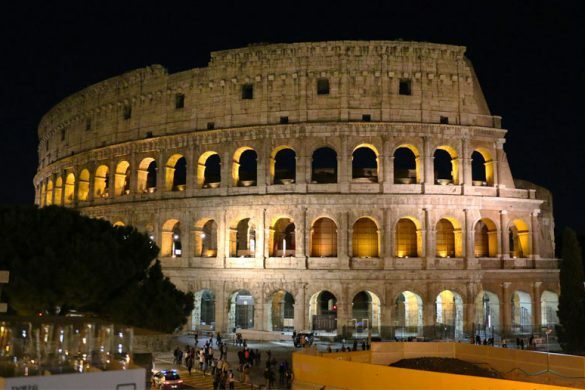 And, train travel throughout Italy is very affordable. See? I told you not to worry! 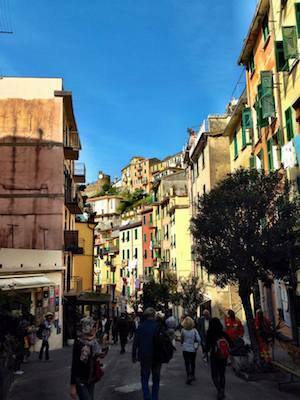 Keep on reading for my ultimate guide to Cinque Terre on a budget. 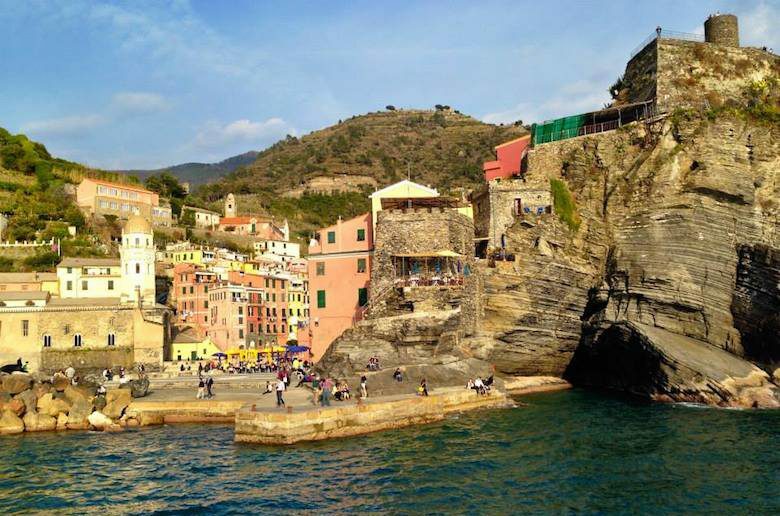 Riomaggiore: This is a great place to start your Cinque Terre adventure! It is one of the smallest but liveliest villages. At sunset locals grab a pizza and wine and head to the rocky beach for the best seat in town. Manarola: A bit bigger than Riomaggiore but livelier than its other neighbor, people often find a happy medium here. You’ll find great food, snorkeling opportunities, and that better-than-life view you’ve seen on google. No beach, just a cement platform. Corniglia: The smallest and most isolated of the villages- it’s the only one that sits high on a cliff instead of the water. If you opt for the train instead of hiking between the villages, you’ll still have to do a “mini hike” in the form of several hundred steps to reach the top. As a result, though, it’s often less crowded and seen as less touristy. Vernazza: As it is considered the most famous, it is usually the most crowded/most expensive. Despite those scary superlatives, it’s a natural postcard that will make you think the photos are a result of Photoshop. Budget friendly tip: don’t eat or stay here, just pass through and enjoy the scenery. 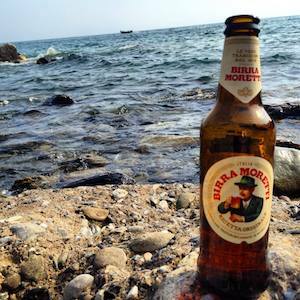 Monterosso: It is known mostly for the sandy beach and watersports. Cute bars and restaurants line the coast and it can be a good place to spot some friendly locals. I find it the best place to end my Cinque Terre adventure- after a long hike or touring the towns, a beach day is a welcomed rest. The cost and ease of arriving in Cinque Terre depends on your starting point. However, once you’re in Italy the nearest airport is Pisa. From the airport take a shuttle for 5 minutes to Pisa Centrale- tickets are €1.10. Next, take the train from Pisa Centrale to La Spezia Centrale. From La Spezia you take the local train connecting all five towns which ends in Levanto, another charming town at the end of the line. Individual tickets for this train average €2.20. There are different options for transport around Cinque Terre. Naturally, the cheapest option is by walking the trails between the 5 towns. If you’re not up for that, the train stops in each town. You can buy a multi-service train ticket for €16. The €7.50 fee for hiking the trails is included in this. If you want to just do the hike with no train service, you’ll pay just €7.50 . Check the website for more. In my opinion, the worst time to go is when everyone goes – summer. It’s hot, crowded, and the most expensive – not a friend of budget travel. In the winter months, many restaurants and hotels close, per usual in Italy. Plus, you may not get much sun. So, the best time to go is October or March-April (Easter excluded). Pack layers! Cinque Terre on a budget doesn’t allow for staying in the towns themselves. The hotels are mostly 1-3 stars and are overpriced. However, if you’re dead set on staying in the national park your best options are Riomaggiore (good starting point for the hike) or Corniglia (cheaper because of the location). Aside from that, the cheapest accommodation will be in Levanto or La Spezia. From the train information above you can see how close both of those places are. You don’t lose much on location and you save big. Additionally, check out Pisa or Genoa if you’re interested in a larger city as your base with a couple days detour in Cinque Terre. The first and most popular activity is hiking. Starting from Riomaggiore and working your way up towards Monterosso (south to north) is my favorite path. The direction of the sun, the beach waiting at the end, plus the terrain all support this decision. Like any good hiking destination, there are paths to separate the strollers and enthusiasts. The blue line is the easiest and takes you along the coast. Unfortunately, in 2011 it was badly damaged by mudslides and most of it remains closed. However, you might get lucky with one or two section of it being open. With that being said, it is a parade of half of Europe + Instagrammers photographing every step. Nothing wrong with that, as I am guilty of that a large portion of the time, but it will absolutely be the most crowded trail. The other paths go up with difficulty with red being the most strenuous. Check the official website for all the different footpaths. Other activities include water sports, sunbathing and swimming, eating local food (seafood, pesto, and focaccia), and walking around the towns (there are churches, charming side streets, friendly locals, bell towers- essentially an Italian paradise with endless allure). Avoid water front places. I know we all want the view, but usually these places will charge double. With that being said, I do suggest one splurge meal- la dolce vita, right? Good splurge options are: Belforte, Il Pirun, Trattoria dal Billy, and Dau Cila. Order local wine – it’s always cheaper and a great way to experience local delicacies! If you need a hand planning your 2018 Italy vacation, get in touch with our knowledgeable Trip Planning Experts! 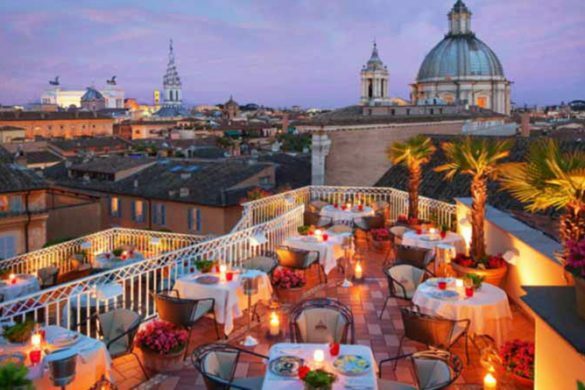 For more Italy ideas and hidden gems follow us on Facebook, Twitter, Instagram and YouTube! Up next: The best hidden gems in Venice. After studying abroad in Florence in 2010, Hannah was captured by Italy and now calls Rome her home. She is always on the hunt for the best authentic restaurants, charming side streets lined with Vespa’s and vintage Fiat 500’s, festivals happening around Rome, and the most charming day or weekend trips from Rome. 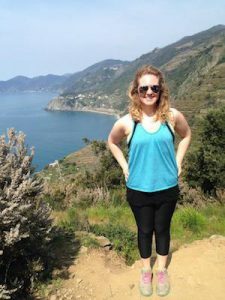 One of her favorite parts of blogging in Italy is sharing her love of this country with other people to inspire their vacations or reflect on the best memories of their lives. Is there Uber in Italy? Our stay in Vernazza was not too expensive, at Rina’s Rooms. No breakfast but a great café just down the street. Pack light as you’ll be hauling your suitcase up many steps, both in town and at the Rooms. Thanks for sharing Donna. You can find some great rooms along Cinque Terre that aren’t too expensive if you book in advance. Packing light is always more convenient when traveling, especially in Cinque Terre where everything is on hills.